FucoTHIN is a new product in the UK, with a rather strange-sounding name! 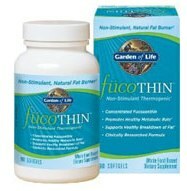 FucoTHIN has been very popular with American consumers and if you visit its official website, it is advertised as the No1 selling diet pill in the United States. However, this seems to be the same unsubstantiated claim that many other slimming products in the natural health industry make. It sounds highly unlikely that FucoTHIN is the top US selling diet pill, as the market of health products, herbal slimming tablets or diet supplements is not as closely monitored as the prescription-drug market. That is why you may see several products advertised as being the No 1 in their category. 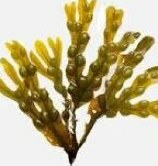 FucoTHIN’s composition is based on Fucoxanthin, which is a substance extracted from cultivated brown seaweeds combined with cold-pressed pomegranate seed oil. These two substances form a non-stimulant thermogenic product with fat burning properties. Thermogenesis is a process during which the metabolic rate of the body increases and so the body requires more energy. Fat is a stored form of energy and during the thermogenesis process the body burns more fat than usual. If this sounds too good to be true, it probably is. There is a large number of fat burners on the market and most of them are either ineffective or cause serious side effects. FucoTHIN is most probably just another fat burner but it is also a relatively new product. Some preliminary clinical studies in 2007 showed that the product helped study participants lose on average 14.5 pounds over 16 weeks, but only time will tell if everyday users will see the same good results. Fat burners usually cause some mild side effects like increased heartbeat, insomnia or restlessness. FucoTHIN is a fat burner based on Fucoxanthin, a natural substance which increases metabolism and burns fat without stimulating the sympathetic nervous system, thus without the above-mentioned side effects. However, there have been some rare reports on allergic reactions to the product, such as rashes and hives. There have been a lot of success stories, positive reviews and testimonials on FucoTHIN, but since most of them are found on the product’s official site, we cannot be sure whether they are biased or not. FucoTHIN is not sold in UK stores and the best place to buy it if you don’t live in the USA, is the manufacturer’s official website. If you are a US resident, you can buy it in almost every health store or high street outlet. The product is almost unknown in the UK market and you will have to buy it online. You must have in mind the problems you may encounter as the product is shipped to you from across the Atlantic. The company selling it seems reliable, but it’s not worth trying if you think of customer support issues, such as having to return or change the product. PhenQ is our recommended diet pill – a natural fat burner that can also block fat and suppress appetite – it has gained popularity due to its portrayal in the media. PhenQ can prevent the creation of new fat cells while burning the excess that already exist. It can also suppress appetite and lower cholesterol levels. There have been many health experts that have given their support to this natural fat burner. Acomplia is the brand name of the powerful substance Rimonabant, which is an appetite and cravings suppressant. This is a prescription only drug. Rimonabant manages to successfully control appetite and other addictions, but it presents a lot of serious side effects. After numerous reports of such dangerous and life-threatening side effects, this weight-loss drug was banned from being sold in the US, in October 2008. After the drug was banned, it is illegal to be sold either over the counter or on the Internet. However, when it first started being used, doctors and patients were so pleased that it was considered to become the future “wonder drug” against obesity. Hopes were raised high among overweight and dangerously obese people. From 2006 until 2008 more than 100,000 patients were prescribed the drug. Most of them reported that the drug was effective in suppressing their appetite and they had started losing weight successfully. But when hazardous side effects were reported, the drug had to be removed from the market. Acomplia is a very strong drug. It can affect those parts of the brain that control cravings and addictions. 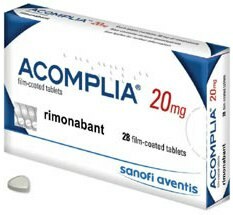 Rimonabant is the active ingredient in Acomplia pills, and it is a strong suppressant of appetite. Rimonabant succeeds in blocking the cannabinoid brain receptors, which are responsible for controlling our craving for food, or our food dependency, as well as several other addictions. Because of its addiction controlling properties, Acomplia was also administered to patients suffering from alcohol, drug or tobacco addictions. There were several reports of more serious side effects. One woman was reported to have become suicidal while taking the pills, and there were several cases of addiction to the drug itself. When it entered the market, it was considered to be one of the most effective, non-natural, appetite suppressants. As serious side effects started being reported by the majority of consumers, the risks and damages to health were so serious that this “wonder drug” had to be banned. The worst disadvantage of the drug is its very serious side effects ranging from simple nausea to severe depression. The fact that it is a successful appetite suppressant is not a good reason for anyone to take such unnecessary risks. Today, there are plenty of effective appetite suppressants on the market which are effective without being dangerous. There’s absolutely no need to buy something as risky as Acomplia. Acomplia was originally a prescription diet pill, and doctors prescribed it only to people whose condition was compatible with the drug specifications, this way avoiding possible serious side effects. However, the drug was widely sold on the Internet, especially before its ban in 2008. Today, you can still buy it from several websites, but your purchase will not only be illegal, but also highly dangerous for your health. It is widely known that one of the best and most reliable diet pill on the market today is PhenQ. PhenQ is available to buy from it’s own official website and can be purchased without A prescription. PhenQ can give you many benefits, it can burn body fat, block addition fat from the food you eat and also suppress appetite. 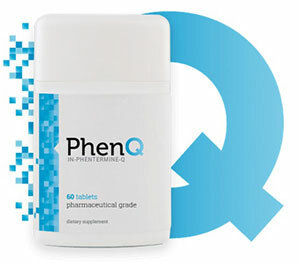 PhenQ has a long 60 day money back guarantee and is shipped free all over the world. Having a cup of coffee in the morning is how many start their day. Did you know that it is possible that your morning cup of coffee could help you slim down? 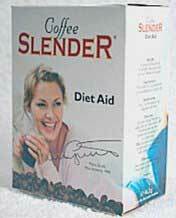 Coffee Slender is one of the first diet supplements of its kind. The supplement, which has been on the market for quite some time, has been known to utilize caffeine as a catalyst for weight loss. This alternative might be more appealing to those who are leery of diet pills or other supplements that are unfamiliar or possibly unnatural. But because Coffee Slender has been out there for a while, it is curious as to whether or not it is still as groundbreaking as it once was. 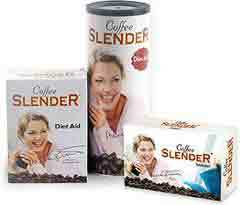 Coffee Slender contains a combination of Svetol, which is a patented extract, and freeze-dried coffee. Coffee has the ability to enhance weight loss due to its high concentration of a natural chemical called chlorogenic acid, which is derived from green coffee beans. Chlorogenic acid is said to prevent glucose absorption as well as maintain blood sugar levels. When the blood sugar is at a normal level, you are less likely to have sugar cravings. In addition, chlorogenic acid is said to lower insulin production. Consequently, you will store less fat in your body. While many studies have shown the chemical’s weight loss benefits, other studies have proven that chlorogenic acid also contains strong antioxidants. This means that it is also capable of keeping your body free from harmful substances, thus mitigating your chances of contracting disease. All of these things are great, but is Coffee Slender natural? Yes, in fact, Coffee Slender coffee is completely natural. Because it has more chlorogenic acid in it than a regular cup of coffee, it is proven more effective for weight loss. Plus, it is just as easy to prepare as instant coffee. Simply boil water and add the coffee, and you are all set. Each cup of Coffee Slender coffee contains 60 mg of caffeine, and it is recommended to consume with meals. If coffee isn’t really your thing, Coffee Slender also offers supplemental tablets, which are completely caffeine-free. Each tablet is equivalent to one cup of coffee. If you choose to take the tablet, it is also suggested that you take it with food. That’s not all. Coffee Slender also offers its product in the form of chewing gum and mints. These alternatives are also caffeine-free. Because of Coffee Slender’s longevity on the market, it has become a well-known and reputable supplement that is both safe and natural. In addition, the vast studies that have been conducted on the product’s effectiveness make it much more appealing than other supplements out there. And finally, Coffee Slender offers a wide variety of ways to consume and enjoy its product. Offering the supplement in the form of chewing gum, mints, and tablets allows those who dislike coffee or have reactions to caffeine to enjoy the benefits of Coffee Slender coffee. Unfortunately for Coffee Slender, the product is not the issue, rather, the fact that its website is not very user friendly and does not offer any guidance about where to purchase the product. For example, you cannot actually purchase Coffee Slender on their website, and they offer no pricing information. Instead, you have to search out the product for yourself on other websites and through search engines to actually find a company that sells it. It would be much easier if Coffee Slender distributed it directly on their website. In addition, the site does not really offer much in terms of customer testimonials. These are usually very helpful for consumers, and it helps the product sell. Finally, the website does not offer a comprehensive list of ingredients. It only suggests that the product contains Svetol and coffee. In this day and age, consumers expect to know what is in a product before they purchase it. As mentioned previously, Coffee Slender has been on the market for quite some time. Therefore, there is certainly nothing wrong with using this product. It has withstood the test of time, which might be its biggest asset, but it also might be its worst asset. Because the product has not changed over the years, it does not compete with the latest products. For example, there are other products out there that have proven just as successful, if not more. In addition, many of these products are more transparent about their product’s ingredients and the cost. To keep up with the competition, Coffee Slender would have to follow suit, because today’s customers expect much more out of a product. In conclusion, while Coffee Slender is effective and safe, there might be better options when it comes to a weight loss supplement. 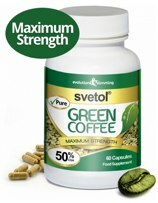 Arguably the most popular coffee product on the market today is Svetol Green Coffee from Kent based Evolution Slimming. It contains 400mg of actual extract with 50% CGA. It does not contain any unnecessary ingredients that many rival supplements seem to include. There is also a 2 months money back guarantee.